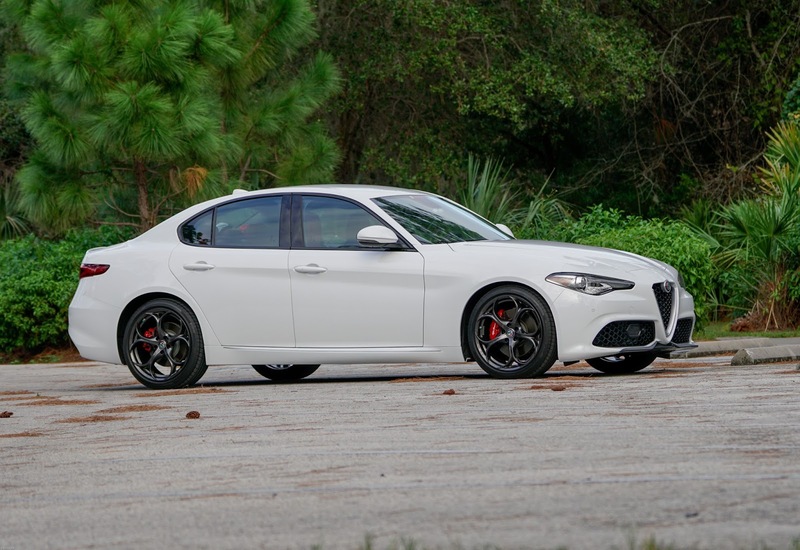 I'm taking a break from race coverage for a funny and refreshing review I found on the Alfa Romeo Giulia Quadrifoglio. I am always checking the web for new Alfa videos and here's one that takes the award for the funniest. On a related topic, here's a couple of photos I took of my Giulia tonight as Millennium Park in Seminole, a great spot for a photo shoot. While there taking pictures a young fellow named Zach came over and asked what kind of car it was. I told him and he commented on how great the car looked. This is another example of how the Giulia gets a lot attention wherever I go. 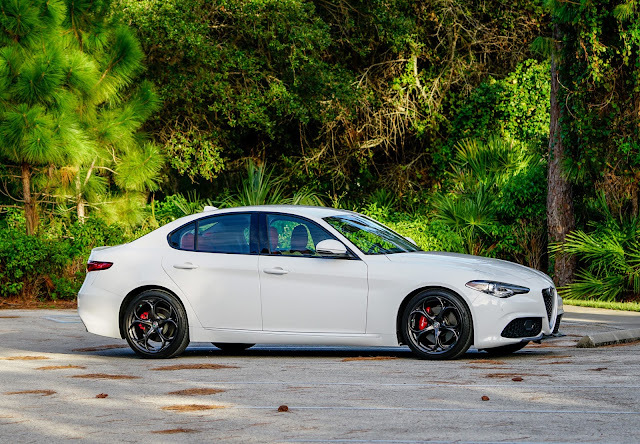 I am amped up about having ordered a performance exhaust from Madness Autoworks today for my Giulia and I can't wait to do a review on it for you. Click below for a video on this system. Madneess Autoworks seems to have done their homework and come up with an excellent sounding exhaust for this car. I picked the Lusso version and it should make my Giulia sound the way a proper Italian sports car should sound. First the pictures from today followed by the funniest car review you will ever see, followed by Madness Autoworks Performance exhaust system video. Scroll down for the videos below. A couple of pictures in changing light as the sun was going down.